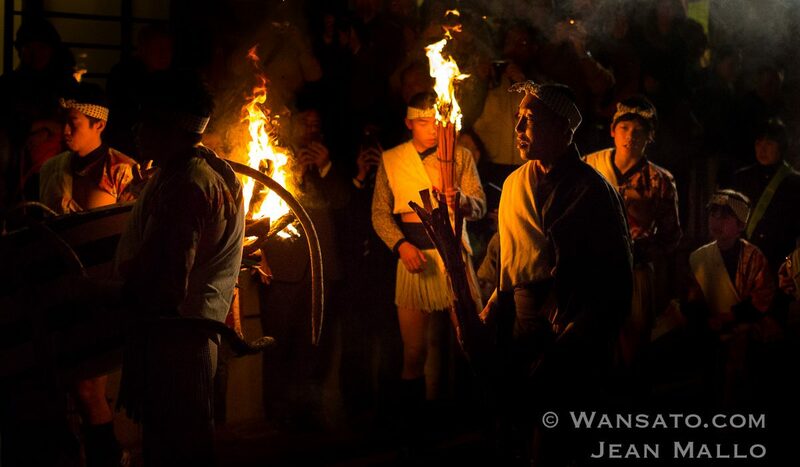 The Kurama Fire Festival is undoubtedly one of the most important events in the Kyoto region. Kurama is revealed in the sequel to the series “Landing in Tokyo”, a journey to the heart of a mysterious Japan, divided between modernity and ancestral culture. The wagons are shaking. The train continues its route through the forest illuminated by the rare rays of sun crossing the clouds. The wind timidly sweeps the treetops. Some begin in the winter with carmine and amaranth reds. The sky is threatening and gives the sacred mountain of Kurama a striking contrast with the forest. The show is soothing. 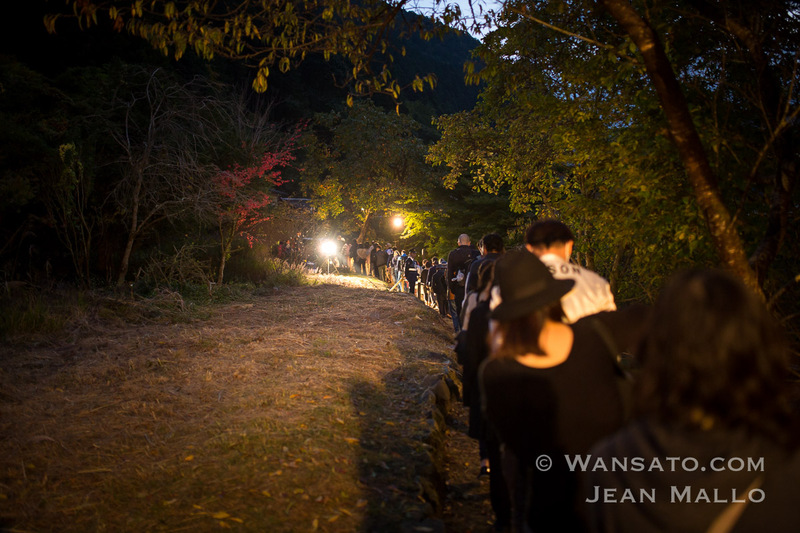 The forest is a place of reverie, as in Miyasaki’s famous films and the tremors of the train are like a lullaby. It does not take long to get lost in his own songs. Kurama Station is the terminus of the Eizan Line. It is already cool in this month of October. 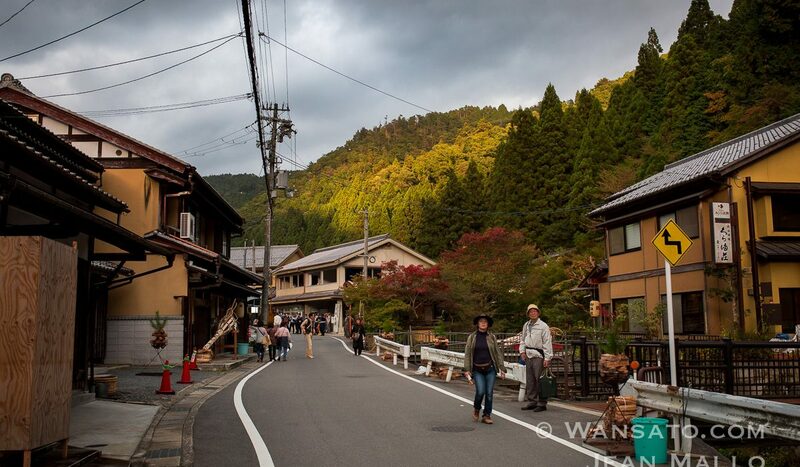 The village of Kurama is nestled on the slopes of the mountain that bears the same name, near Mount Kurama, north of Kyoto. 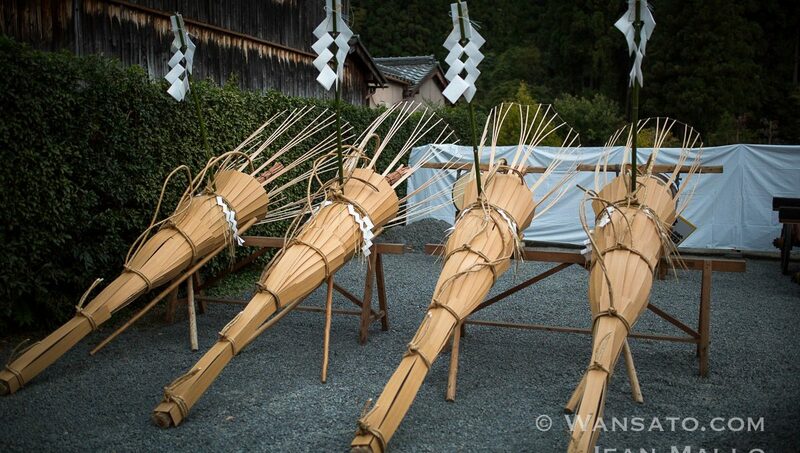 Kurama is far from everything, while we are a few tens of kilometers from Kyoto. The train that takes us to this village is the only way to reach the distant imperial capital. Time seems to have had no grip here, having abandoned Kurama to his fate. Beautiful houses with wooden storefronts run along the main street. 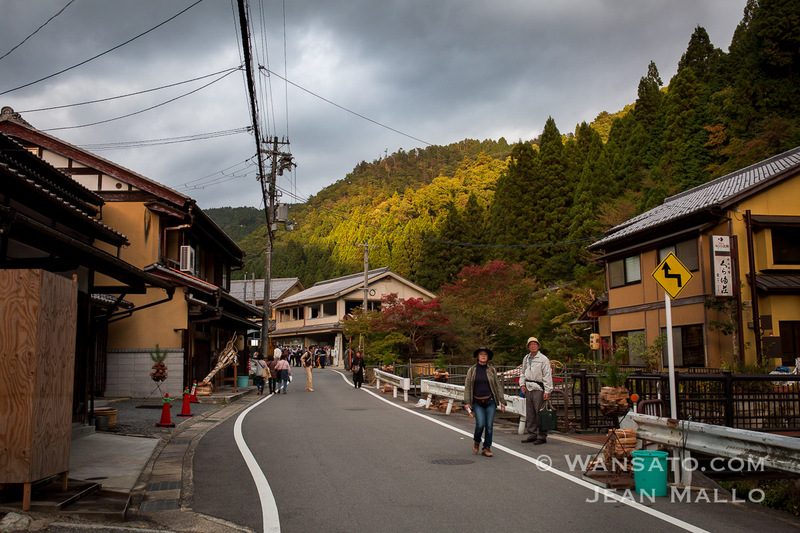 For the ordinary tourist, this traditional architecture allows to interfere in Japan of yesteryear, Japan samurai, farmers in rice paddies and traders traveling the countryside. A sweet scent of scenery invades us. Maybe we are not quite awake yet. The streets are calm, the forest is expressed by the whistling of the wind in the leaves. Only the agitation of the police disrupts the apparent calm. There are a hundred in the village square. Kurama must have fewer inhabitants. It seems almost unreasonable. Yet a tension is felt in the air. We see them shake up plans, talk to each other. They are preparing for the hard and long evening ahead. While waiting for the festivities to start, we find one of the only restaurants open in Kurama. The smell of rice and fish happily fill the beautifully decorated interior of the restaurant. 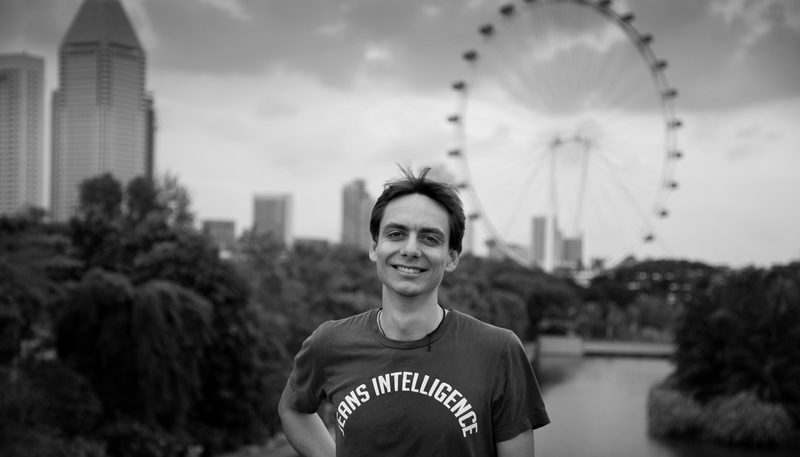 Meals are brought to us quickly, with the smiles of the old restaurateur. Speed ​​of service is required, even in Kurama. The miso soup is served in a wooden bowl, the fish is grilled to a point. In good French, we take our time to enjoy this appetizing dish. 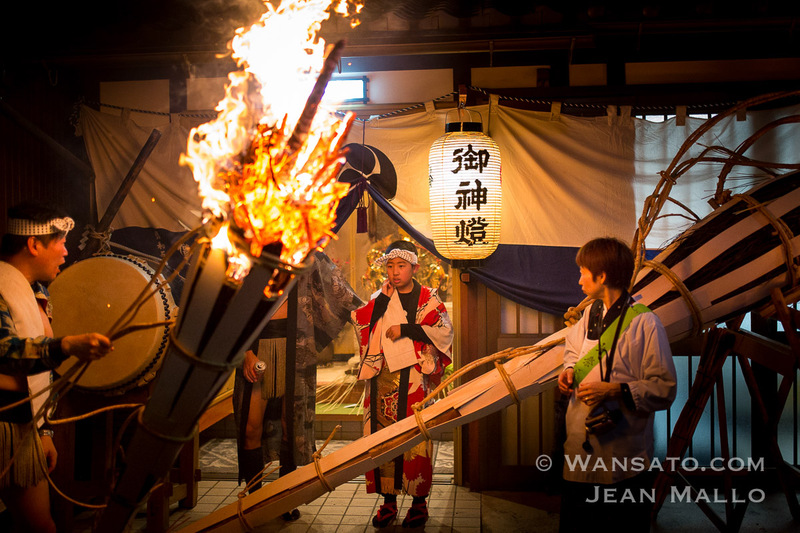 At the exit of the restaurant, we understand all of a sudden the scope of the festival we will attend. 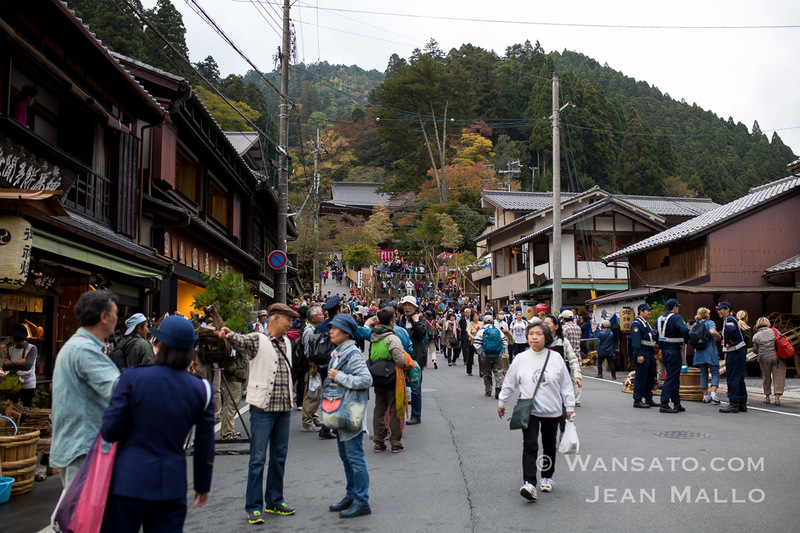 In the space of this short moment, hundreds of tourists appeared in the street. The little mountain village seems to be submerged by an endless stream of travelers, as curious as we are to see the fire festival. Every twenty minutes a new train arrives at Kurama station, filled with irreducible curiosity. The police are already in action, asking the newcomers not to block the entrance to the station. Whistles, agitations, the politeness of the police who ask not to remain motionless, saying “pardon” of course. The main street is cut in half to allow the festival to be held in good conditions. We have no choice but to go around the village. The police are there to make sure everyone is moving forward. We do not have the right to remain motionless. 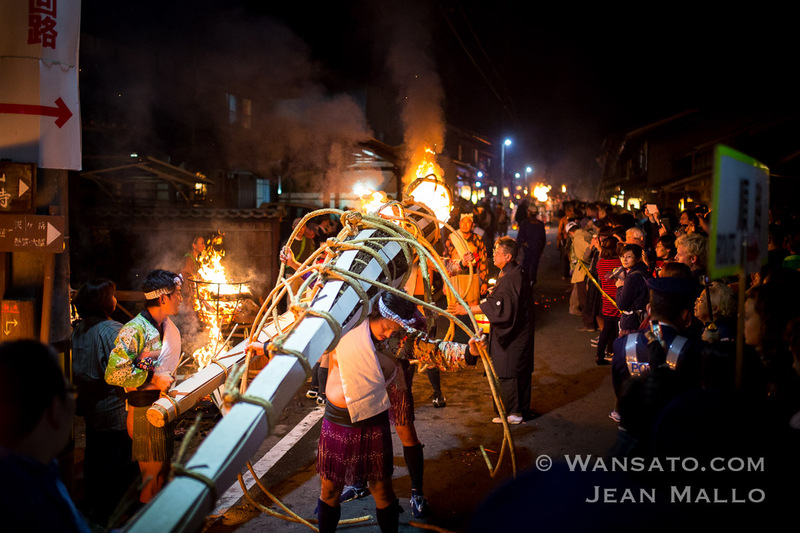 In front of the houses are huge torches, also called taimatsu. 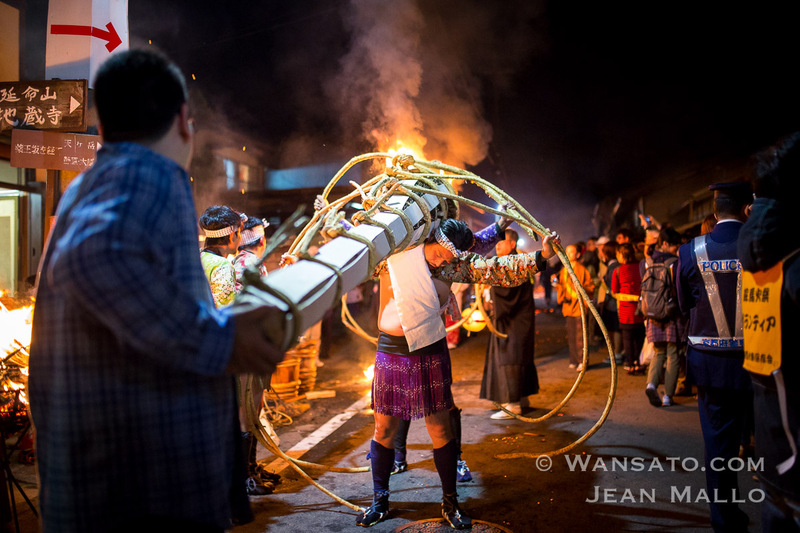 These torches are made of pine and measure up to three meters long for a weight of about eighty kilograms. In other words, men wearing these torches can be considered as athletes. It takes barely half an hour to walk around the back of the village before returning to the main square. 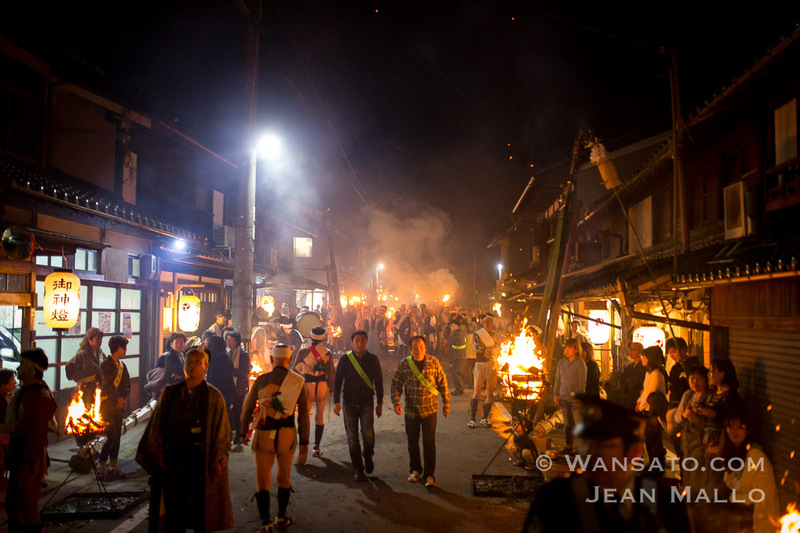 At this point, it is not about hundreds of people who came to the Kurama fire festival, but thousands. 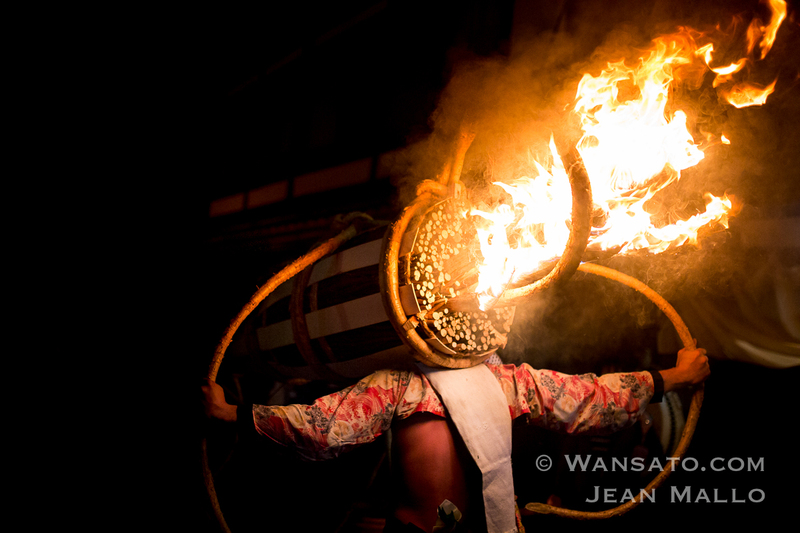 The Fire Festival is one of the most popular and popular events in the Kyoto region. 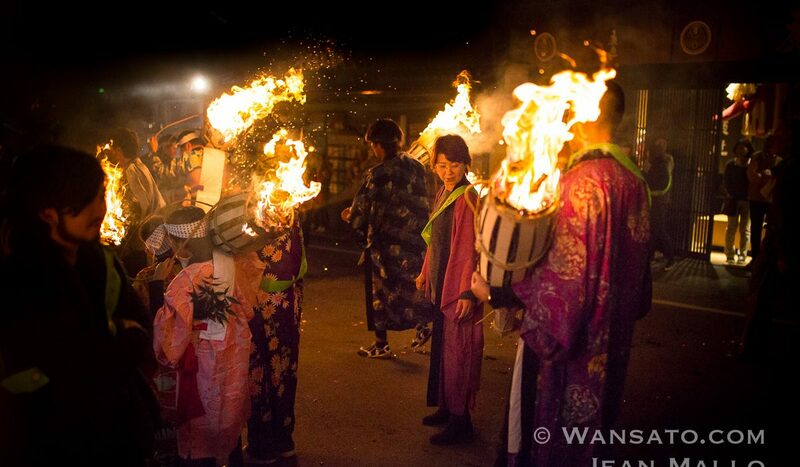 The origin of this festival dates back to the year 940, when Kyoto was struck by an earthquake. The now-Kuruma-Dera temple was moved to Kurama, north of Kyoto, because it was considered the gateway for ghosts and spirits. 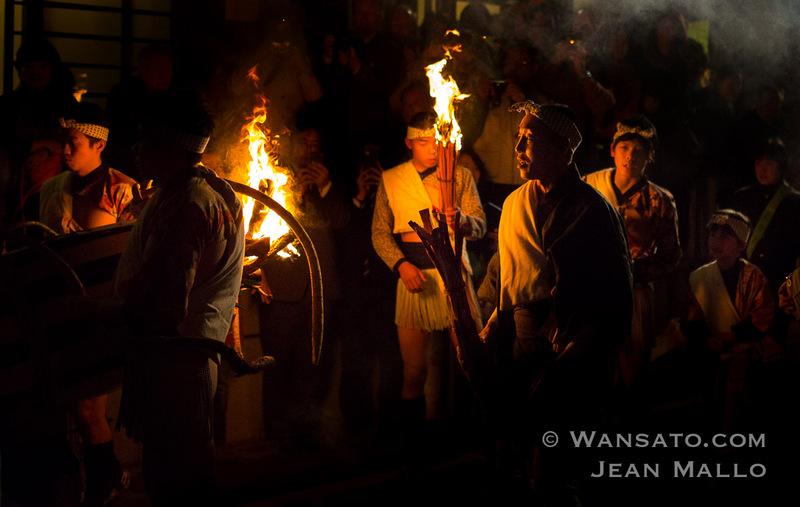 And the fire festival has gradually transformed into a rite of passage to adulthood for the young men of the village. 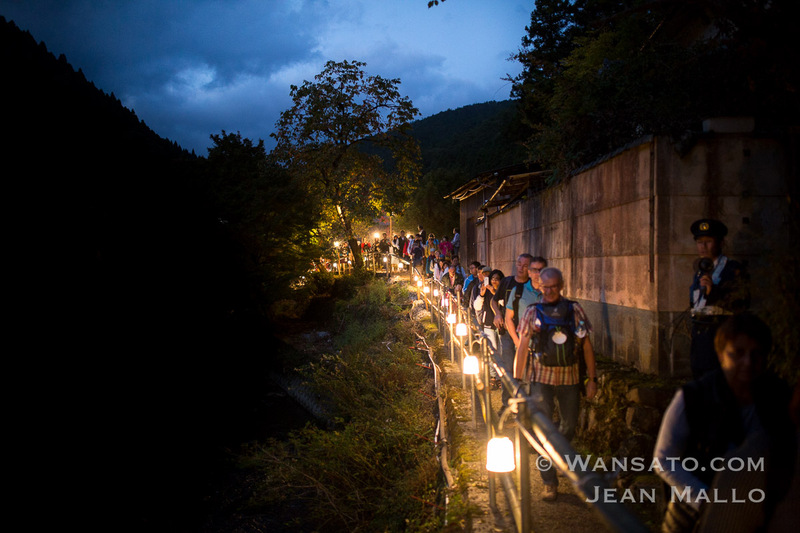 At the beginning of the night, the main street of Kurama lights up a thousand lights. On both sides of the street are metal hearths that let out huge flames. 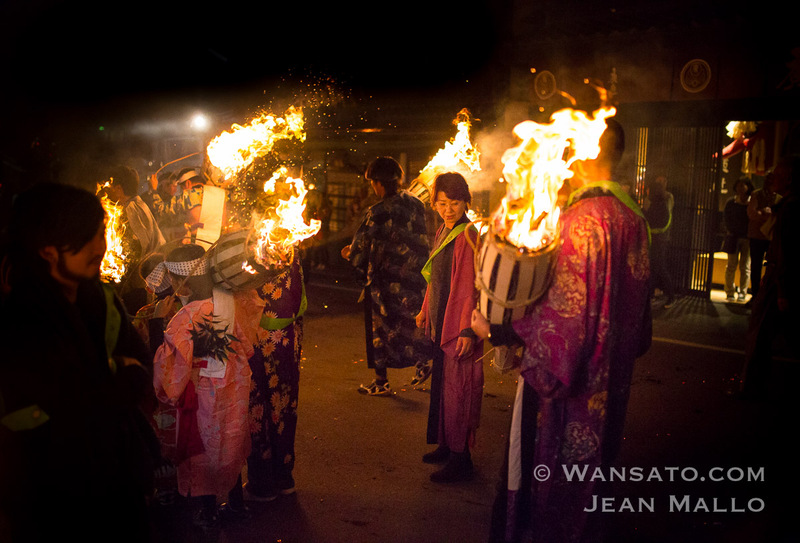 The first part of the festival takes place in the streets of Kurama. 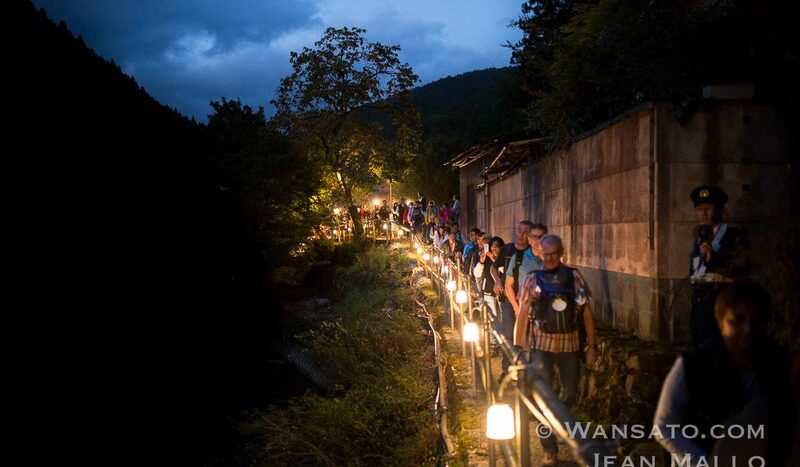 Young and old take the famous taimatsu to the Yuki-Jinja Temple, a little further up the mountain, before returning to the Kurama-Dera Temple. 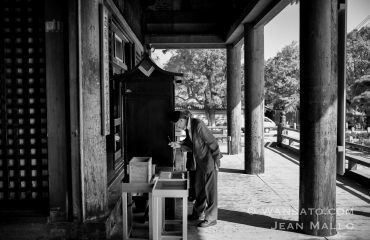 It is precisely in this temple that the second part takes place, late at night. We will not attend. 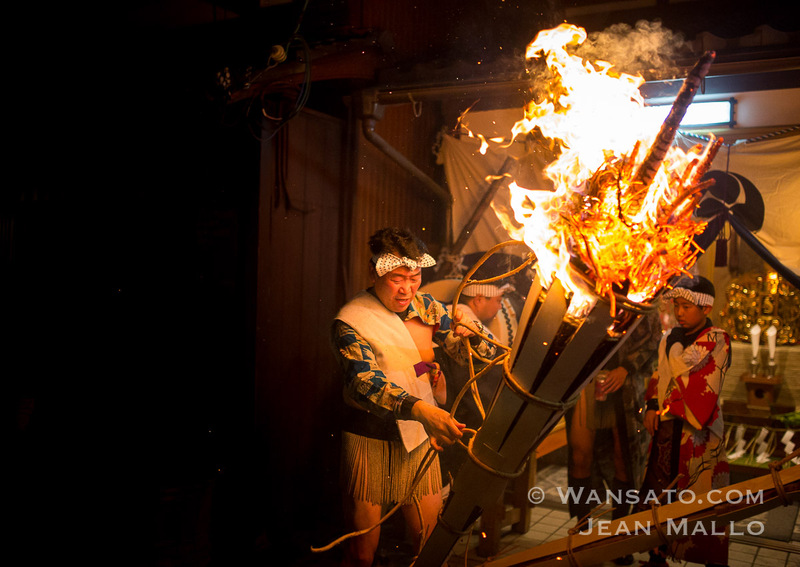 The taimatsu flames are huge and we feel the heat of fire so close to us. 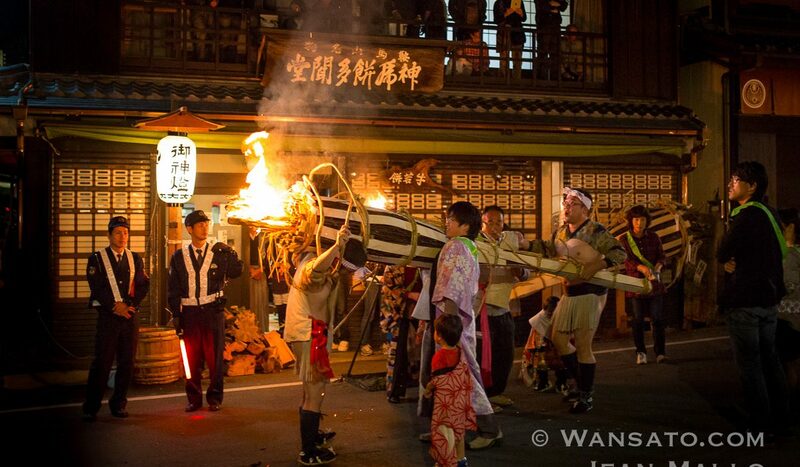 It takes several people to help place the taimatsu on the shoulders of a wearer, not without difficulty. 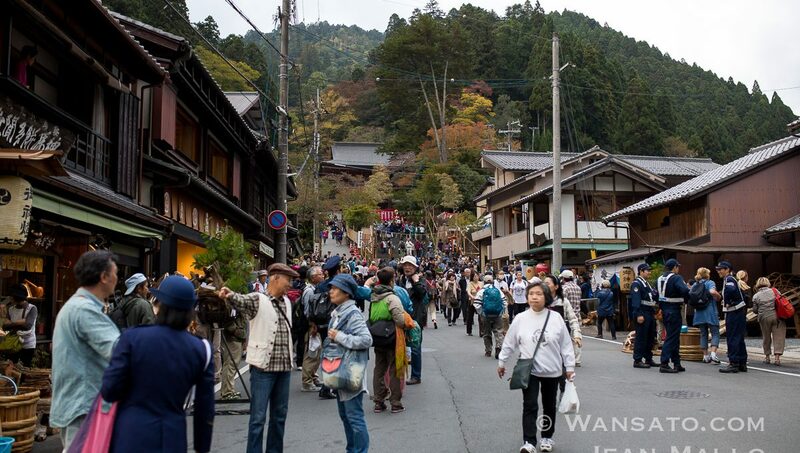 The people of Kurama celebrate in good spirits despite the hordes of tourists. 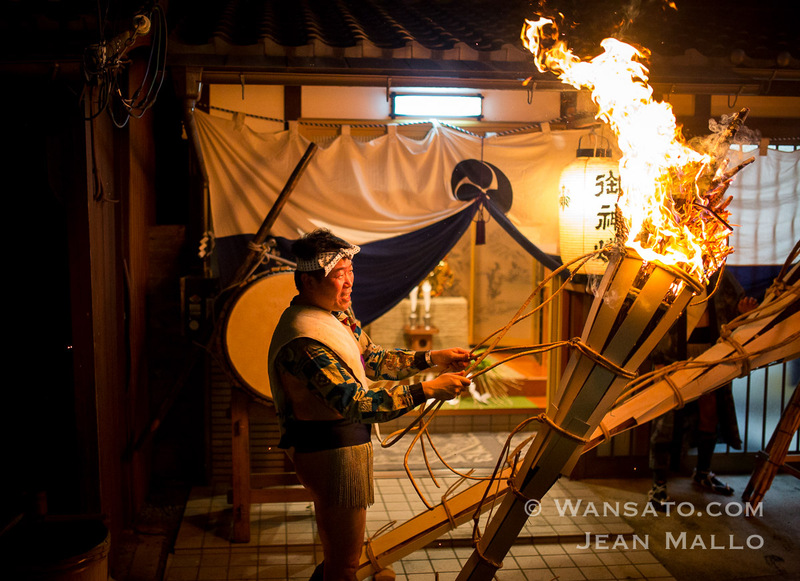 The whole family is reunited and everyone participates, whether to wear the taimatsu, light the fire, or simply sing melodious songs. 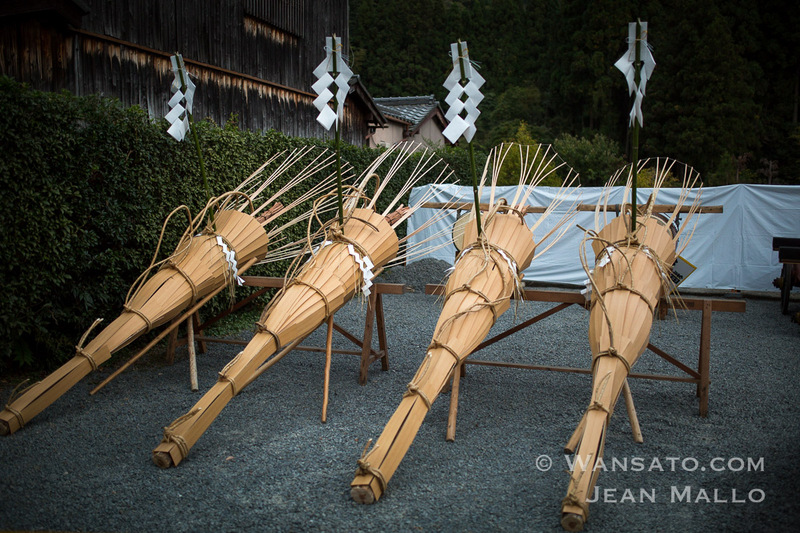 It seems that all the magic of Japan has found itself at this moment, at this moment. 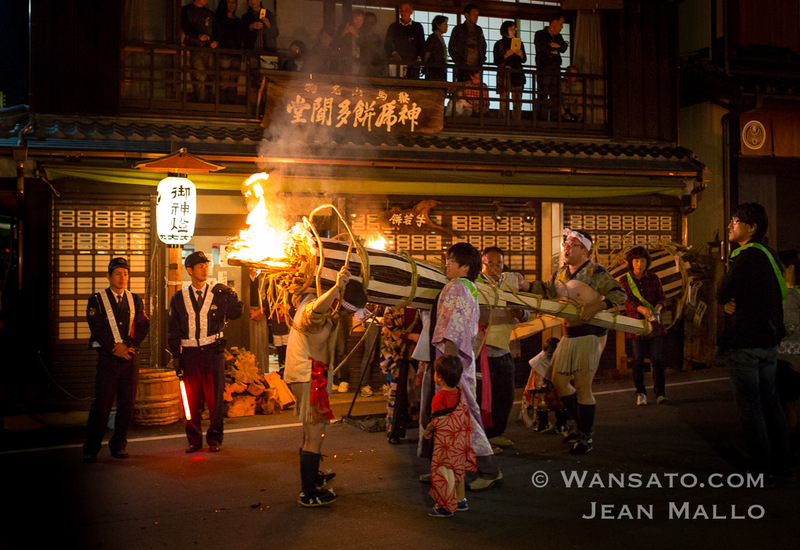 To see these people in traditional clothes guided by their liver and their spirituality is almost moving. 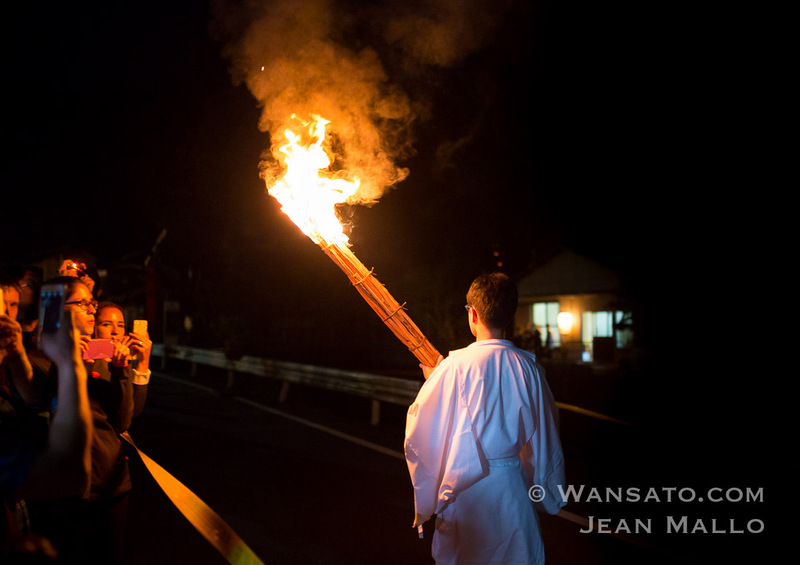 Above all, there seems to be a fervor to protect the oldest traditions. We are amazed. Amazed, but also disappointed. The suffocation of the crowd is such that after the second round of the village, we no longer appreciate the present moment. There are too many people to attend the festival serenely. The mythical crossing of pedestrians at Shibuya in Tokyo is nothing near Kurama at this moment. 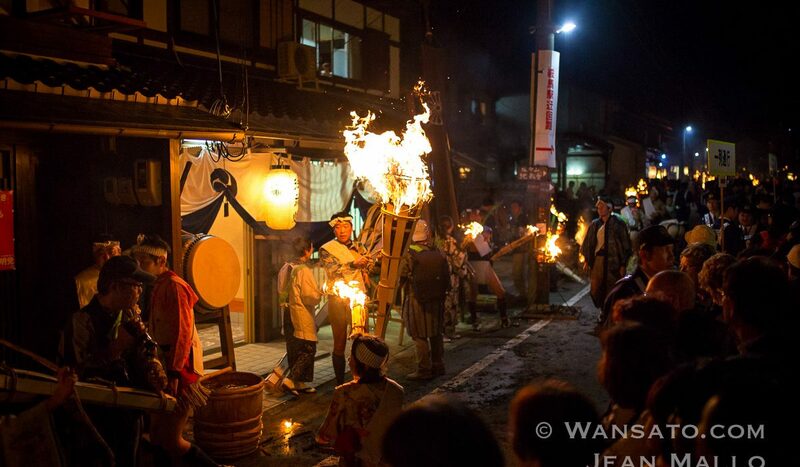 Also, the flames of some torches are very close to the tourists, to become dangerous. Everyone is jostling. The police, even if very polite, shout in loudspeakers that we must continue to move forward. The festival becomes stressful, more unpleasant than going to a mall like Christmas. After returning to the station, we do not ask ourselves the same question twice and return to Kyoto on the first train. We go down the mountain in total darkness, with the feeling of having experienced something wonderful, up there in the mountain of Kurama. 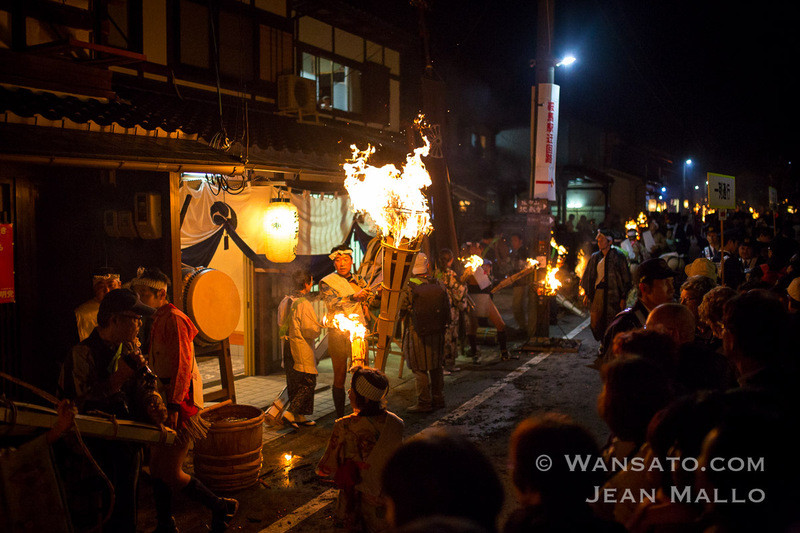 This year again, the more than 100-year-old festival has shown the courage of Kurama‘s young men, to the delight of thousands of tourists.